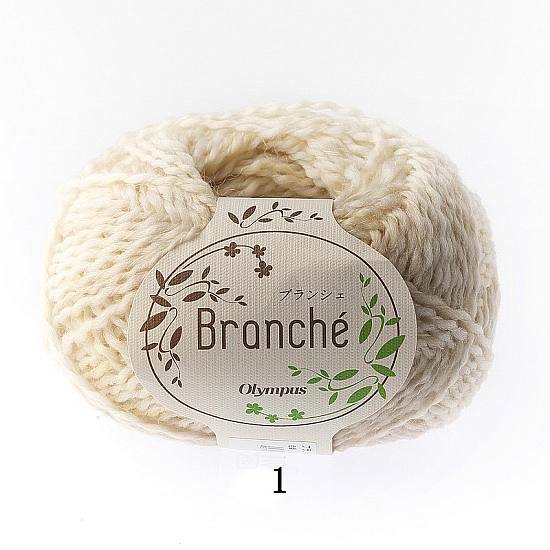 Branché yarn is a super soft wrapped yarn in a wool/mohair blend. The variegated colors create wide swaths of color. This Japanese yarn is 90% wool and 10% mohair and comes in 30 gram (135 meter or 150 yard) balls. The gauge is 20-22 stitches and 33-35 rows per 4" square in stockinette. US size 6-8 needles are recommended.